Maysoon Khan is one of the founders of Emerson's new Muslim Student Association. Despite concerns there would be too few students to form a Muslim Student Association, Maysoon Khan pushed to create one last month. Now, the association has over a dozen members. 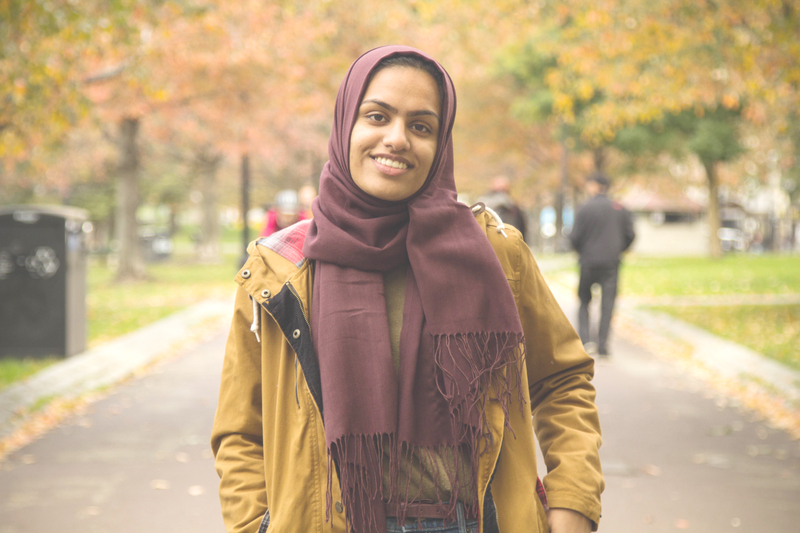 Freshman Samara DeBruyn, one of the first members of the MSA, said the formation of the organization was motivated by the lack of visible Muslims on campus. Khan said the MSA will be a place for Muslim students to meet others of their faith who are also studying liberal arts. Hanna El-Mohandess, a freshman visual and media arts major and member of the association, said she has already drawn comfort from the MSA. DeBruyn emphasized that Islam is not isolated to people from one region or background. DeBruyn said she wants the MSA to be a place where students can talk about their religion without the fear of isolating themselves from the rest of the Emerson community. Harrison Blum, the director of religious and spiritual life, said students can feel hesitant to share their religious identities with peers in unmoderated settings. Khan said she plans for the MSA to be recognized by the Student Government Association. Prospective organizations need to provide a mission statement, craft a budget, locate an advisor, operate for a year, and establish clear goals, among other requirements. Blum stated that Muslim students on campus struggle to find Friday prayer services to attend. He has connected several Muslim students to a local prayer service in the basement of Saint Paul’s Cathedral. “A couple Muslim students have gone to that worship service and been in touch with the prayer leader there and expressed a lot of appreciation for not having to take a subway ride or a bus or go several miles to the nearest mosque,” Blum said. Khan says the MSA wants to make prayer services more accessible to Muslim students by either travelling to a local mosque together on Fridays or by bringing prayer services to Emerson. DeBruyn wants to make the difference between MSA and other cultural organizations clear. DeBruyn wants the MSA to break up stigmas surrounding Islam. The association wants to provide reliable information about Islam to non-Muslim students. DeBruyn wants the MSA to hold an open Q&A session.